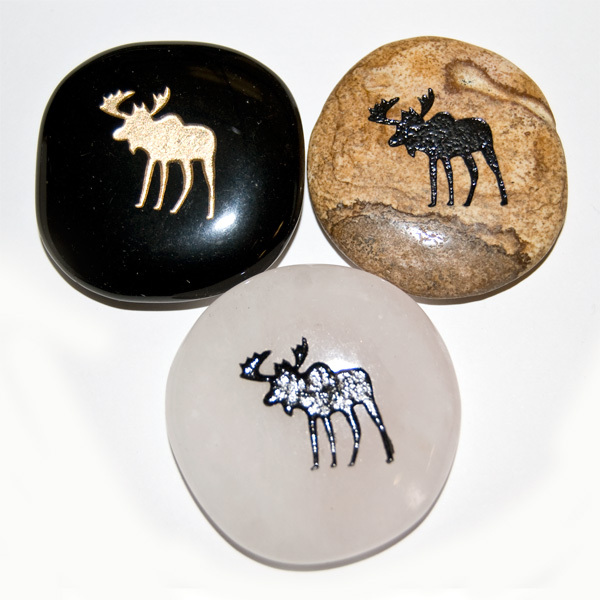 The majestic yet loveable moose, which so often represents Canada is a symbol of longevity, wisdom, confidence and self-esteem. 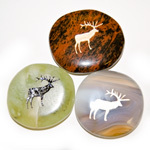 This largest member of the deer family reaches weights of 320kg. 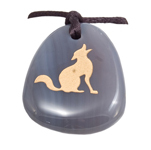 The name originates from the Algonquin ‘musse’ or ‘wood eater’. 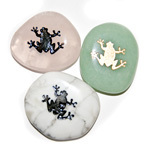 Their diet consists of leaves, twigs, and water plants. 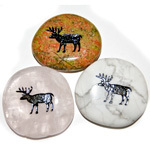 Moose are strong swimmers and are known to dive to depths of eighteen feet in search of underwater vegetation. 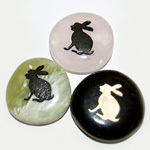 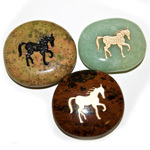 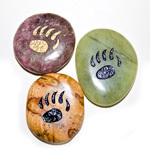 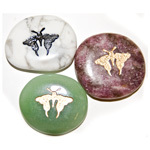 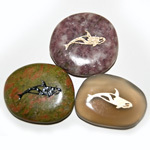 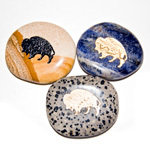 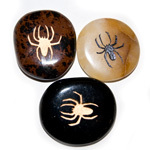 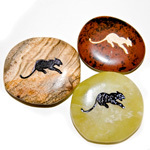 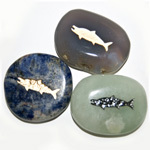 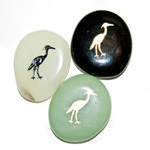 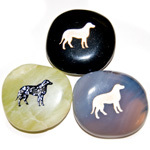 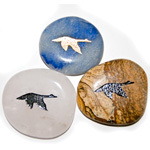 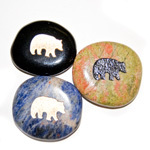 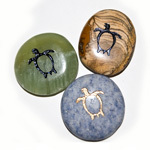 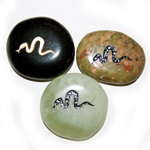 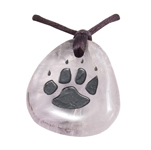 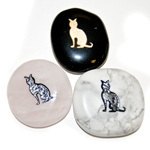 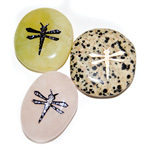 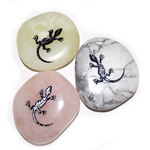 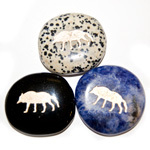 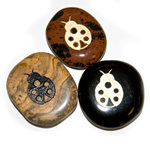 Animal totem stones (or spirit stones) can be chosen based on a favourite animal or attraction to a particular symbol. 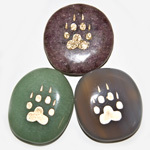 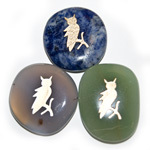 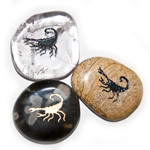 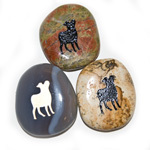 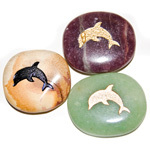 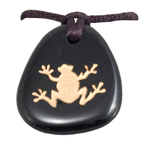 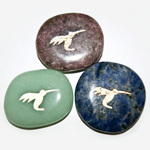 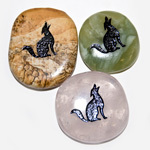 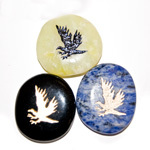 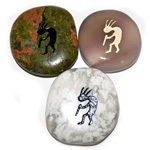 Animal totems can be used to get in touch with specific qualities of the chosen power animal for guidance and inspiration. 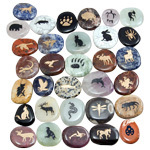 As life changes, so may your totem animal. 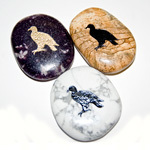 These assorted semi-precious stones and their carved figures have been used as symbols of power and expression for ages.